You are a person. You are also now a squid. 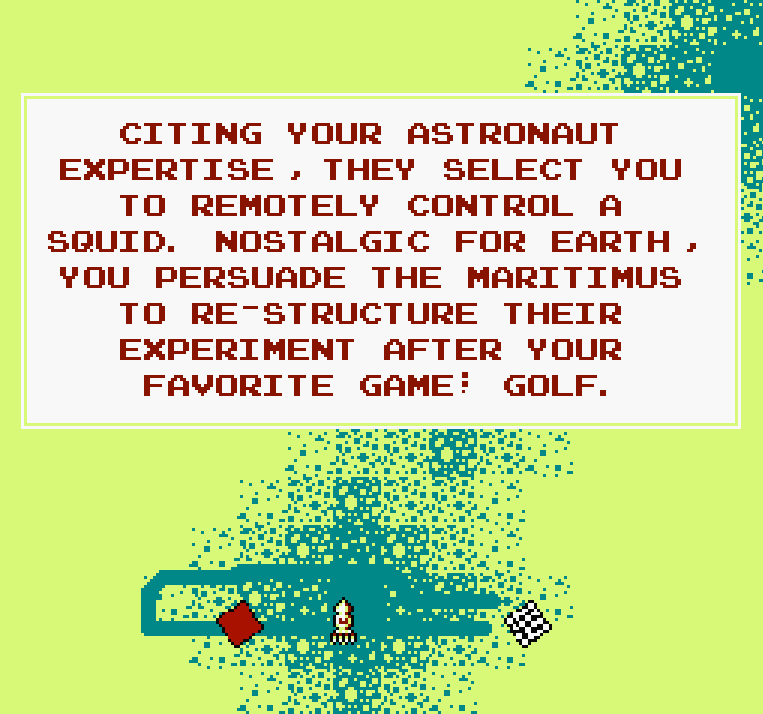 Aliens are forcing you to play golf as an experiment. This is Time Squid. Time Squid is a game about dodging obstacles in a top-down perspective, while reaching a goal as quickly as possible. The life aquatic is ready to take you down, and this squid isn’t having any of it. It’s a fast paced race to the finish as you dodge incoming enemies attacks to reach the end. There are more than 70 levels to race through, and the upbeat NES style soundtrack follows you through each of them. The golf part enters in the scoring. You’re awarded a Birdie, Eagle, etc. for each level depending on how quickly you finished it, and how many times you died. Enemies are trying to kill you, but the clock is too; you die if you take you long to reach the end and have to restart. 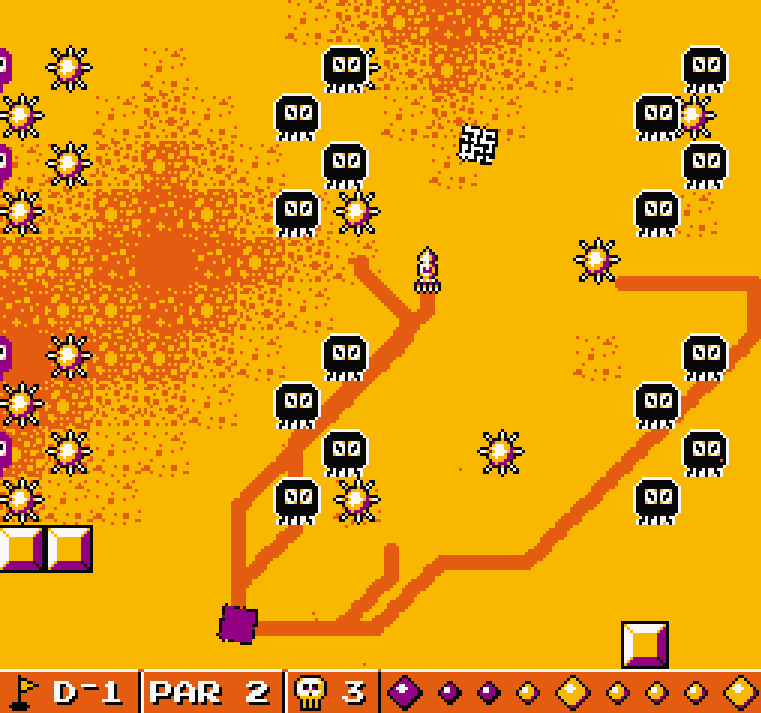 Each level takes less than 10 seconds to finish, so it’s about figuring out the quickest and most efficient way to solve the layout. This highly polished, mechanically driven squid-racer has put Lazy Brain Games on my radar. You can pick up Time Squid from their website for free right here. Tags: Free Games, LazyBrain, Time Squid. Bookmark the permalink. Previous post ← 2013 Midyear Guest Post!